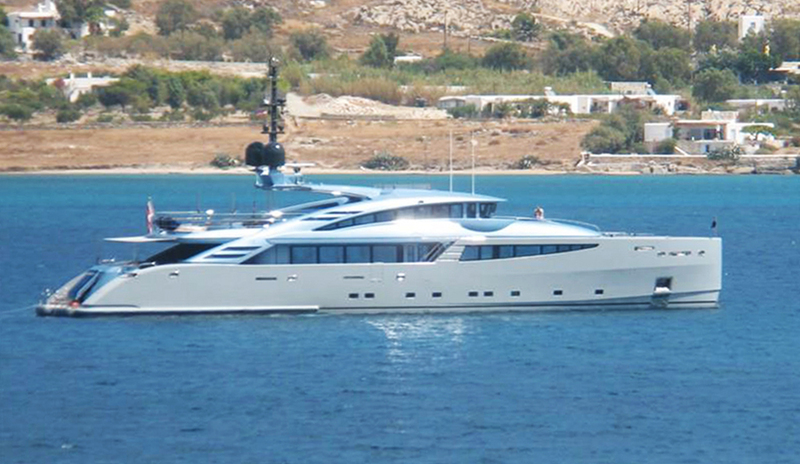 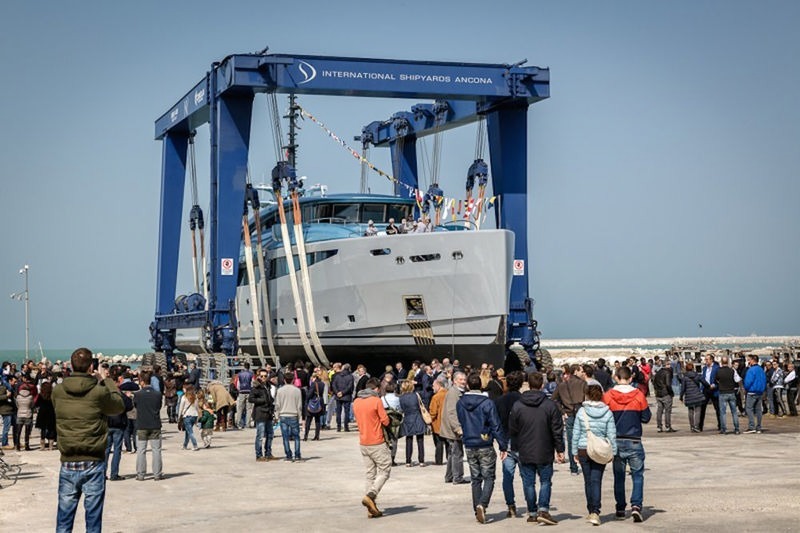 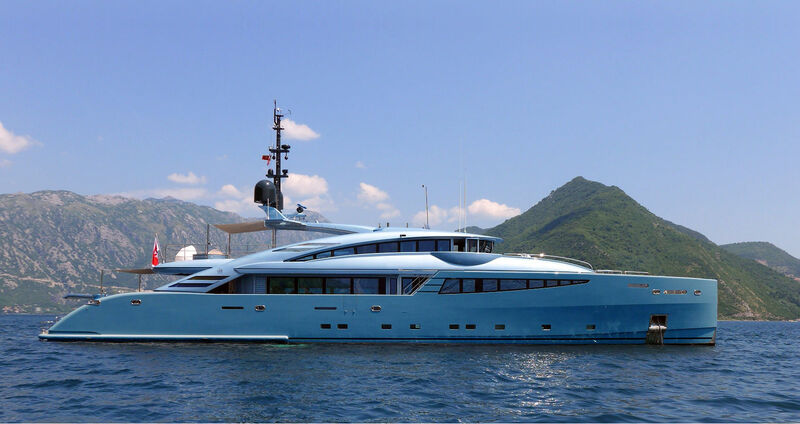 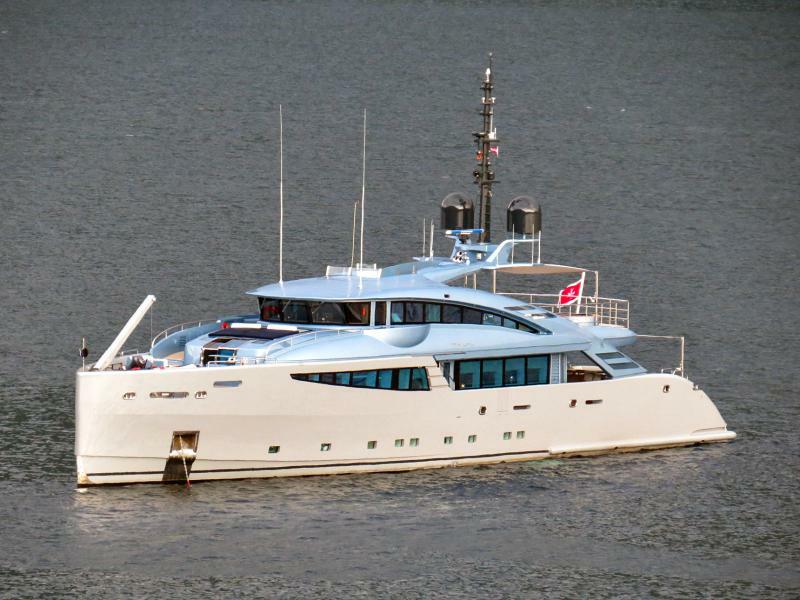 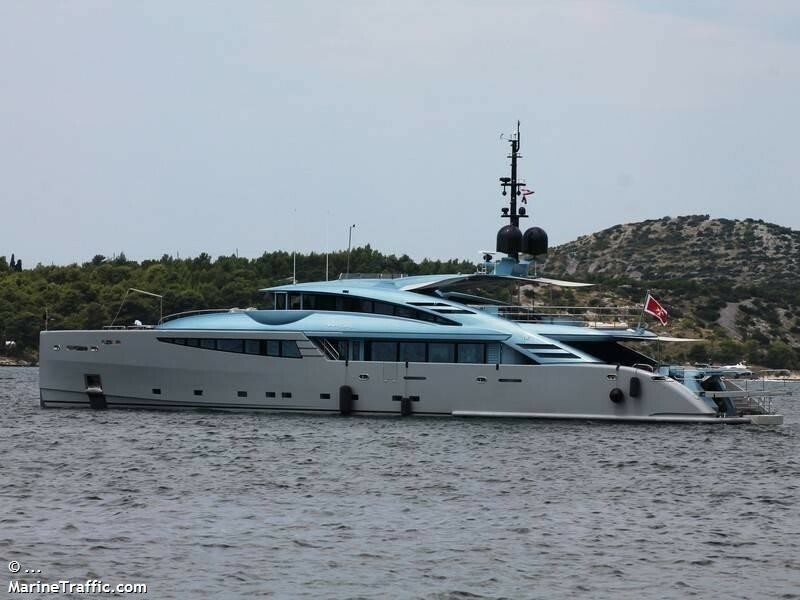 Designed by well-known Andrea Vallicelli, the motor yacht PHILMI is a lovely full-displacement vessel constructed by ISA Yachts, with the launch in 2014. 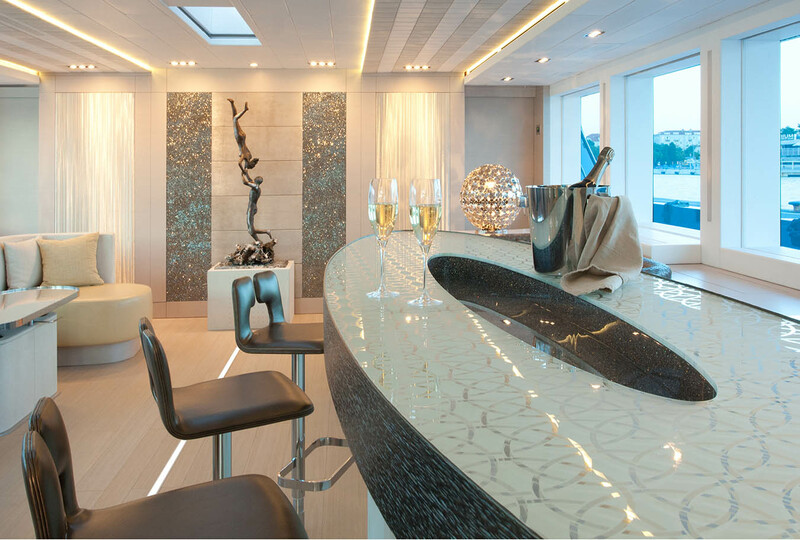 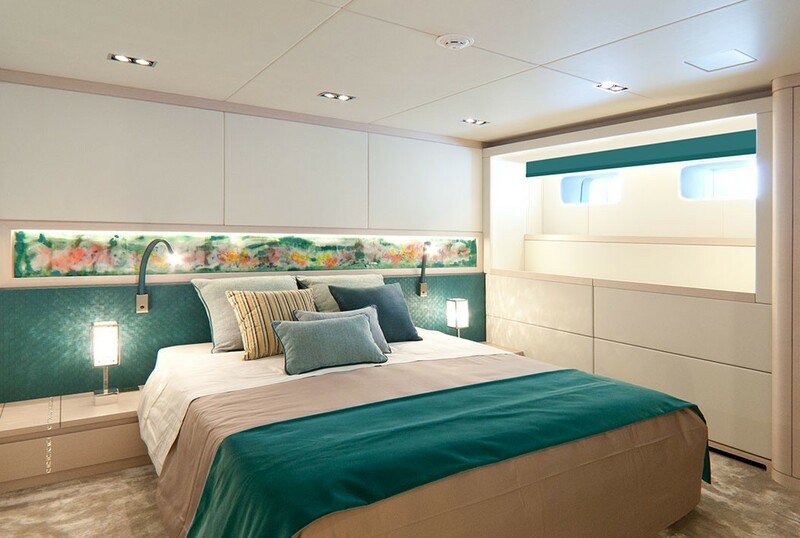 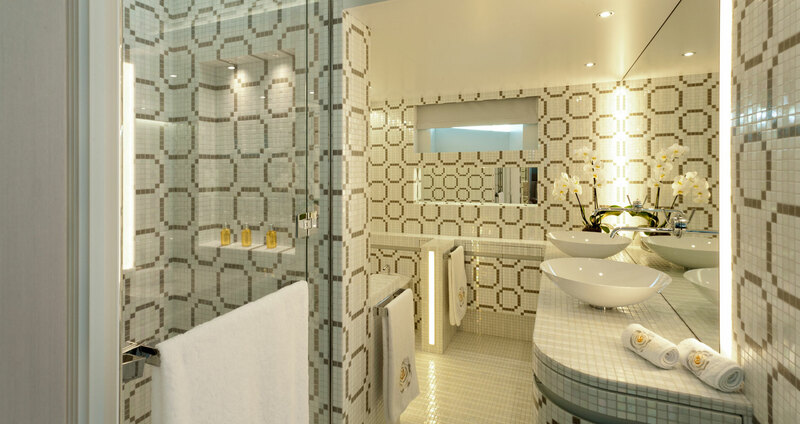 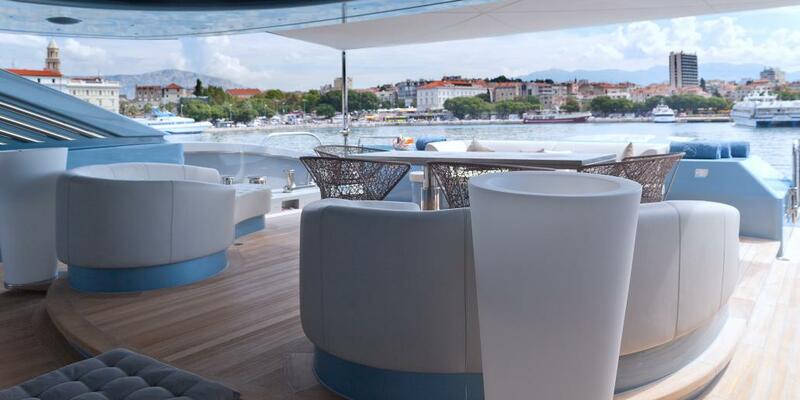 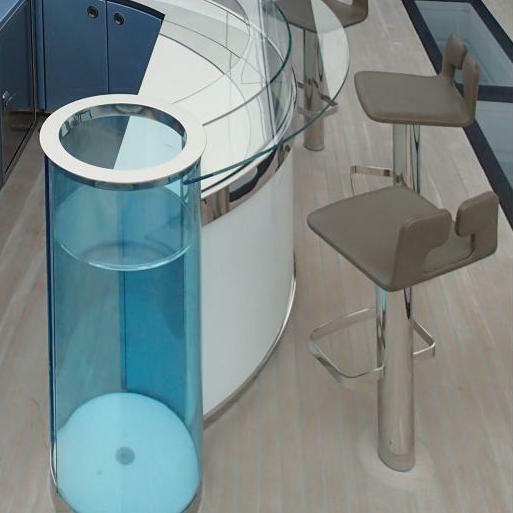 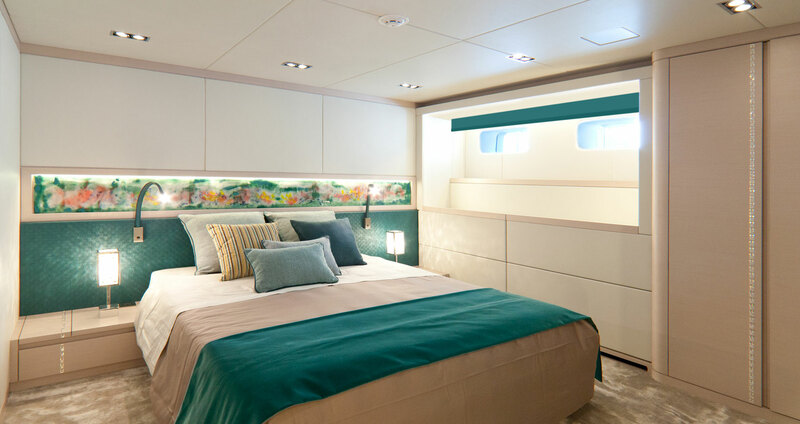 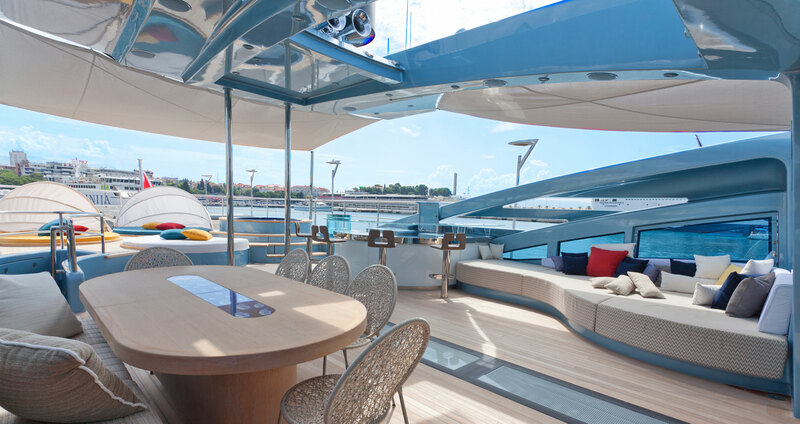 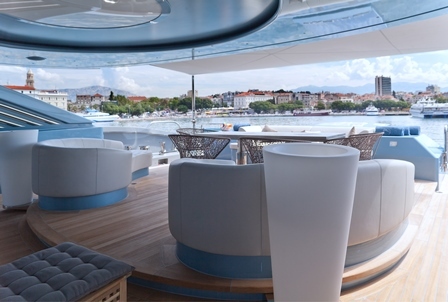 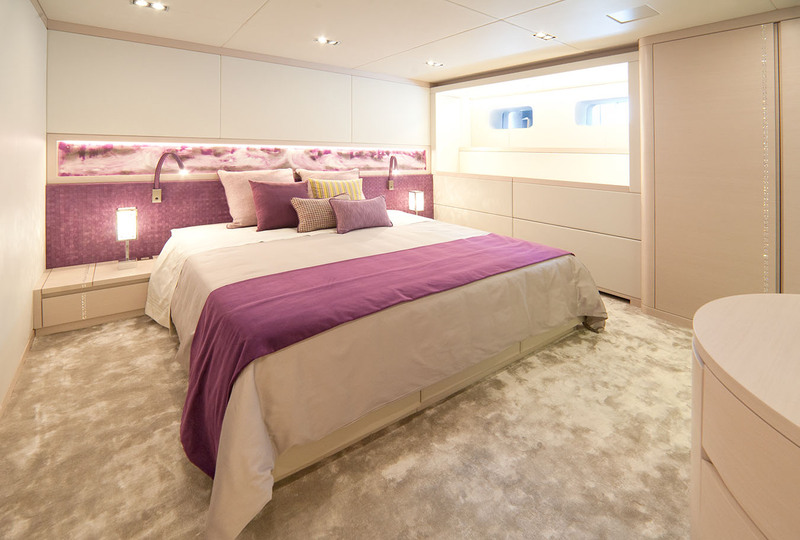 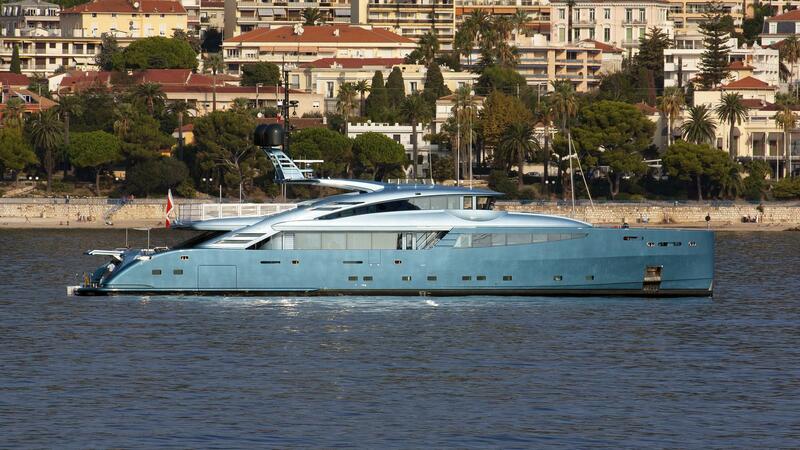 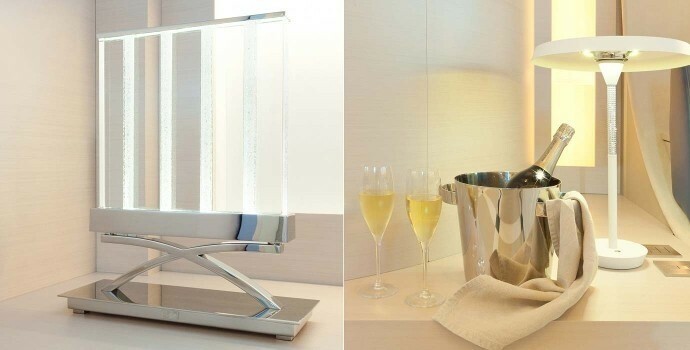 She boasts beautiful interior design by Sandrine Melot and naval architecture by Andrea Vallicelli. 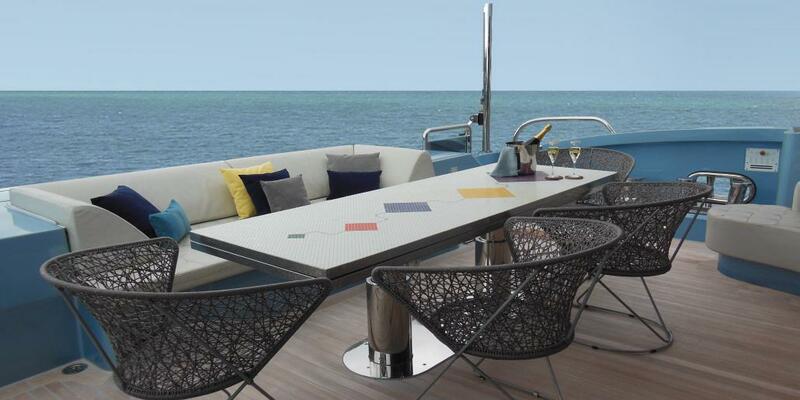 Her main features are a very eye-catching design, excellent performance, excellent range and extreme comfort. 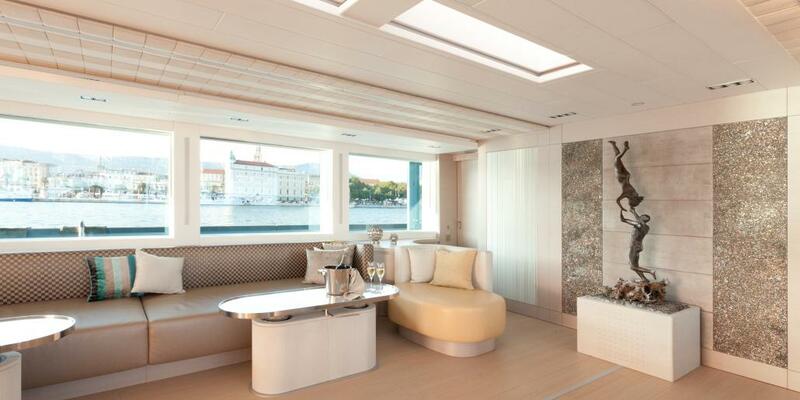 PHILMI is offered in five well appointed and elegant, spacious cabins for up to 10 guests. 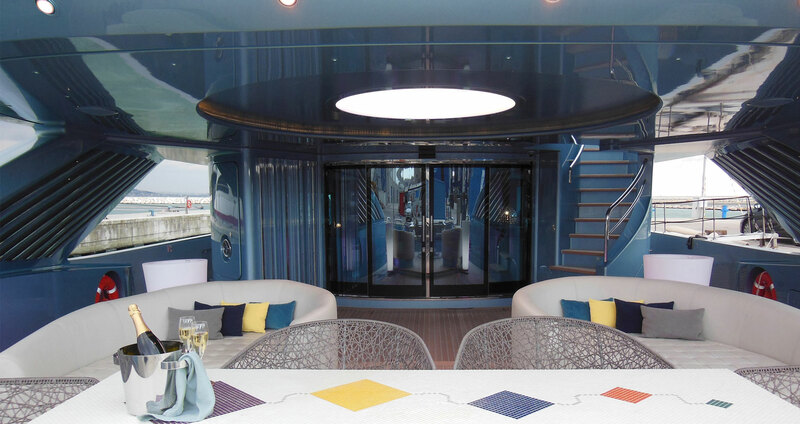 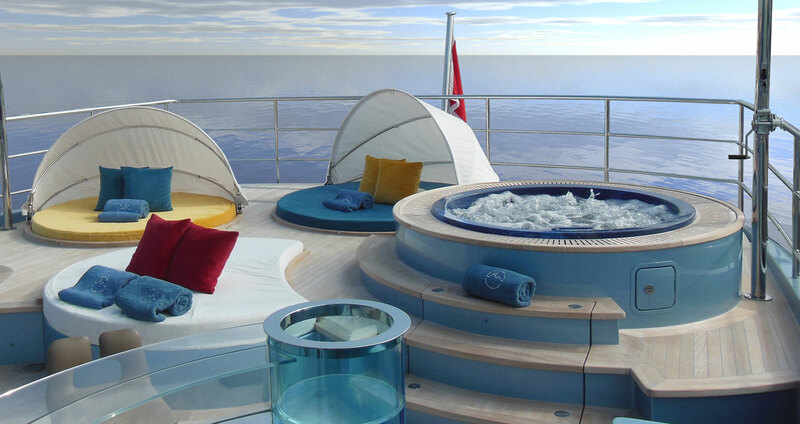 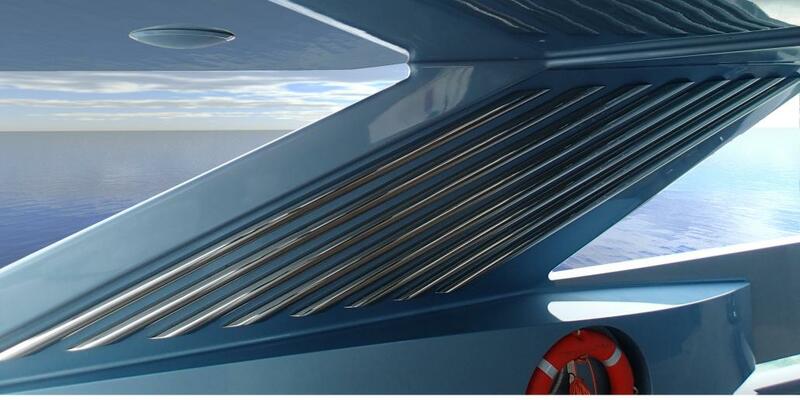 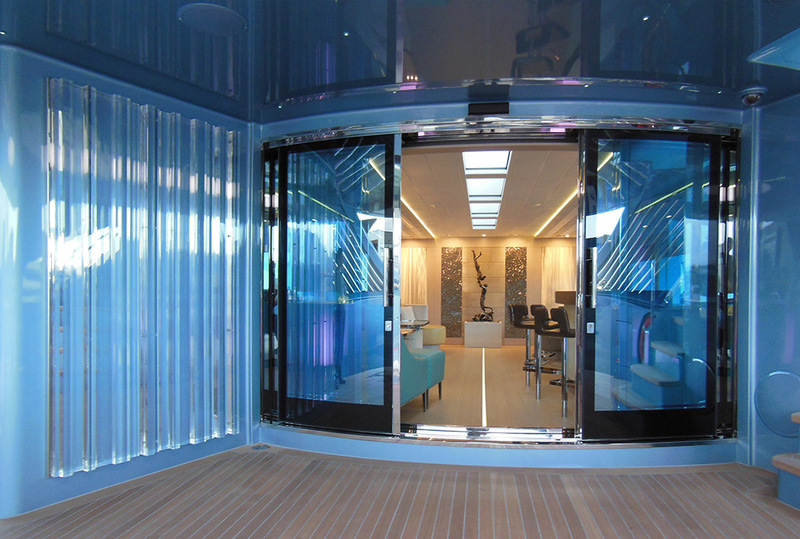 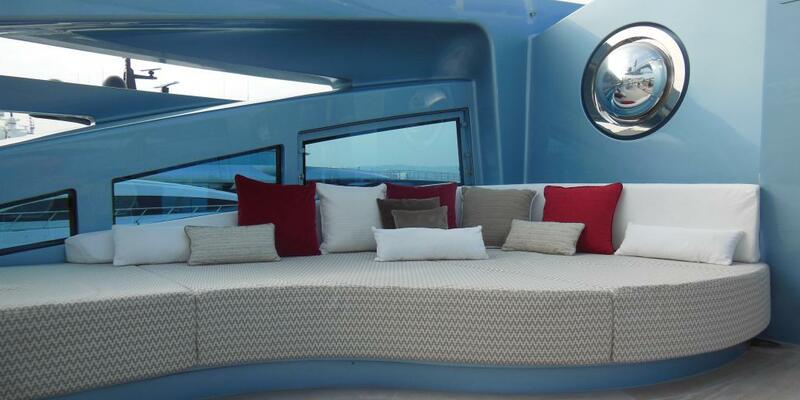 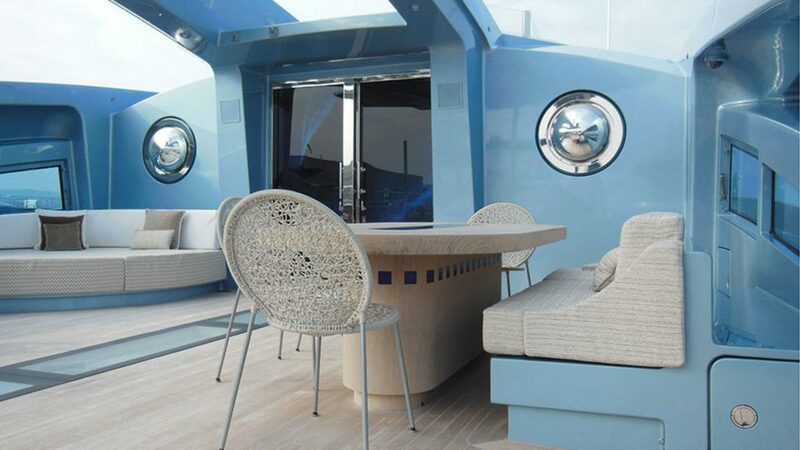 The full-beam master cabin is located on the main deck. 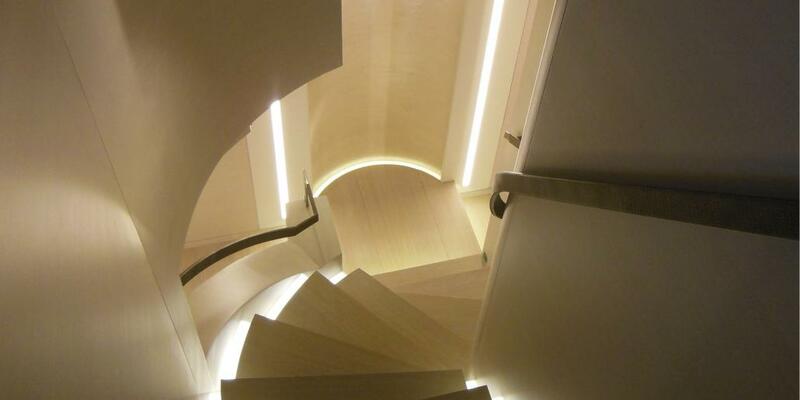 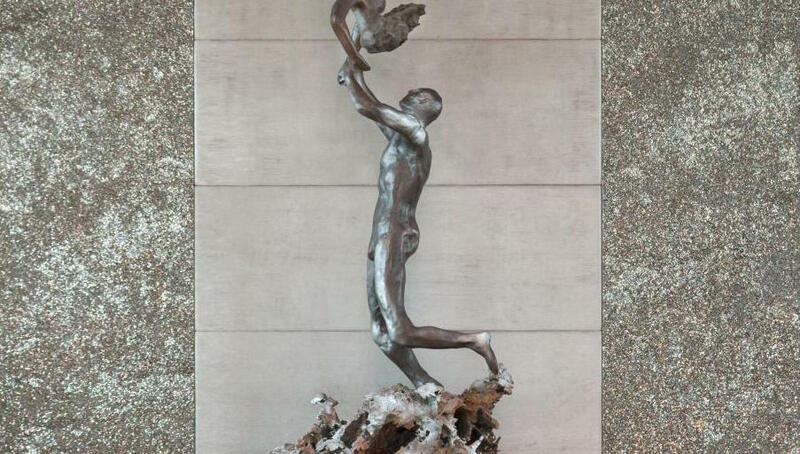 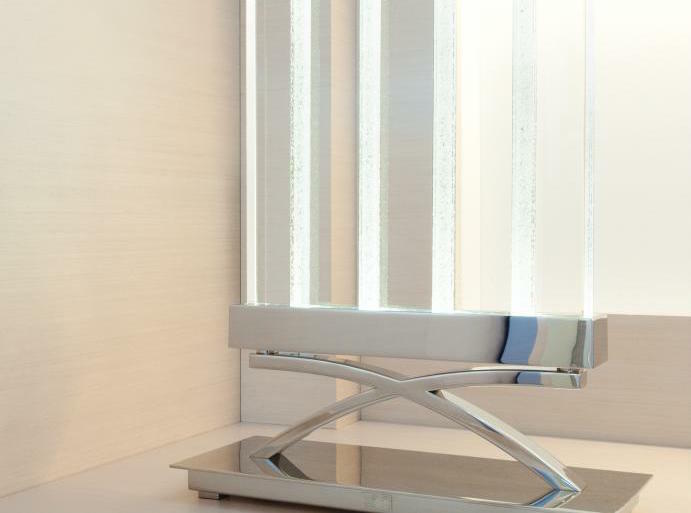 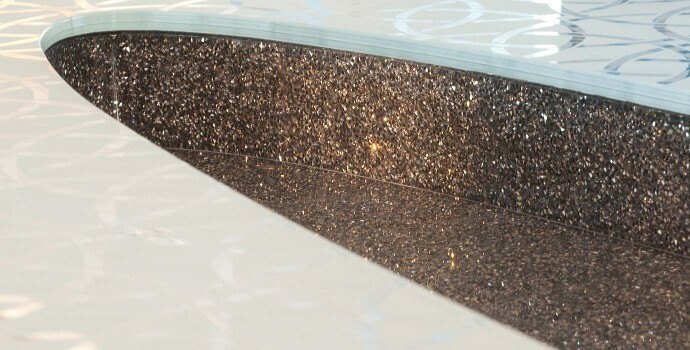 Light is a major feature in the crisp interior design. 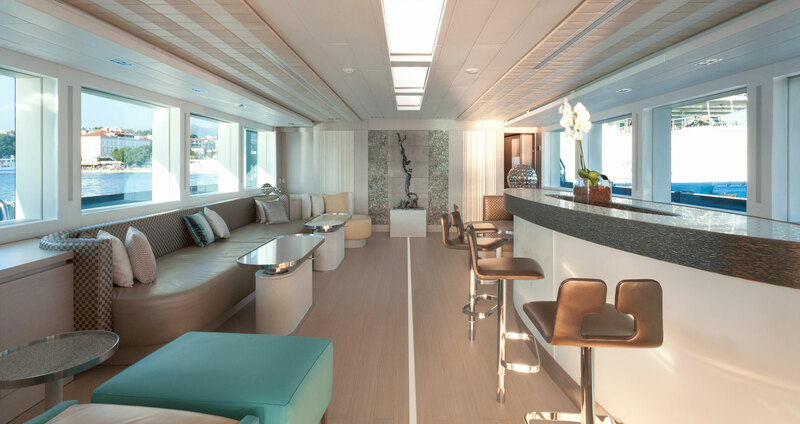 Two large skylights in the main saloon and the Owner cabin enhance the white and light grey decoration of leather covered walls, ceilings, and the Owner cabin's floor. 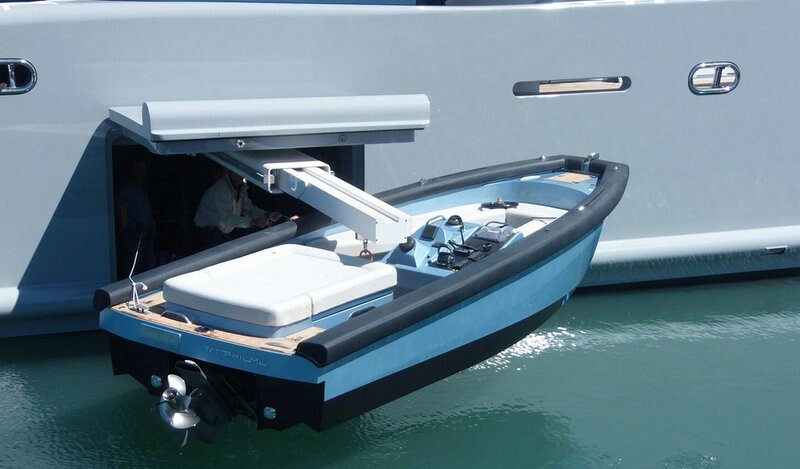 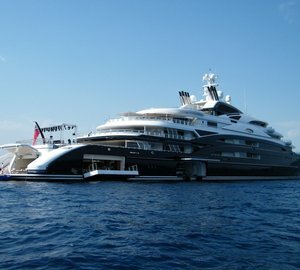 In the stern area, a gym opens onto a large swim platform while an athwartships tender garage hosts the tender. 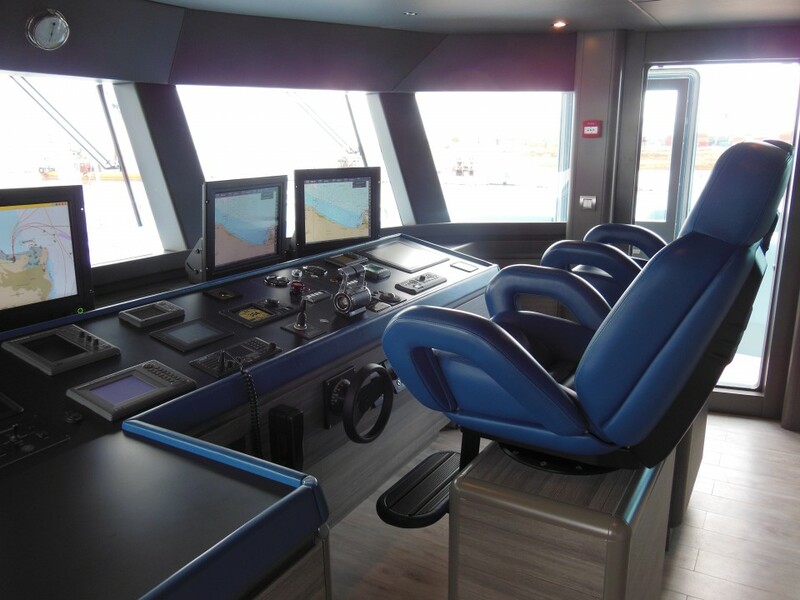 PHILMI is powered by two Caterpillar C18 diesel engines of 651kW at 2200 rpm, reaching a maximum speed of 16 knots and a cruising speed of 13 knots. 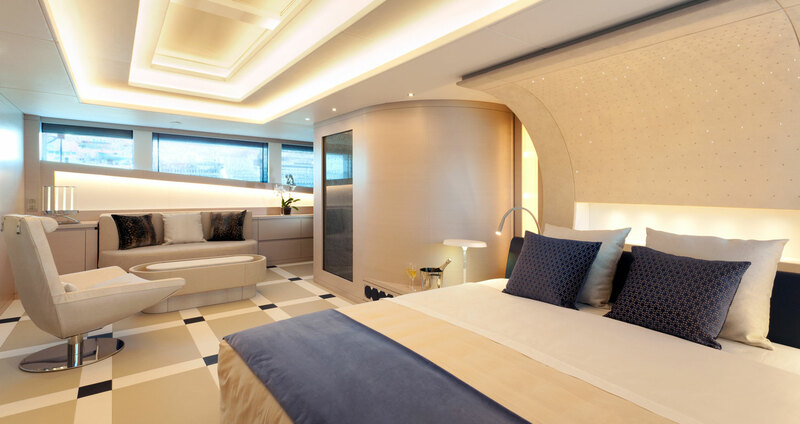 Accommodation aboard ISA 43M Granturismo superyacht PHILMI is offered in five well appointed and elegant, spacious cabins to 10 charter guests. 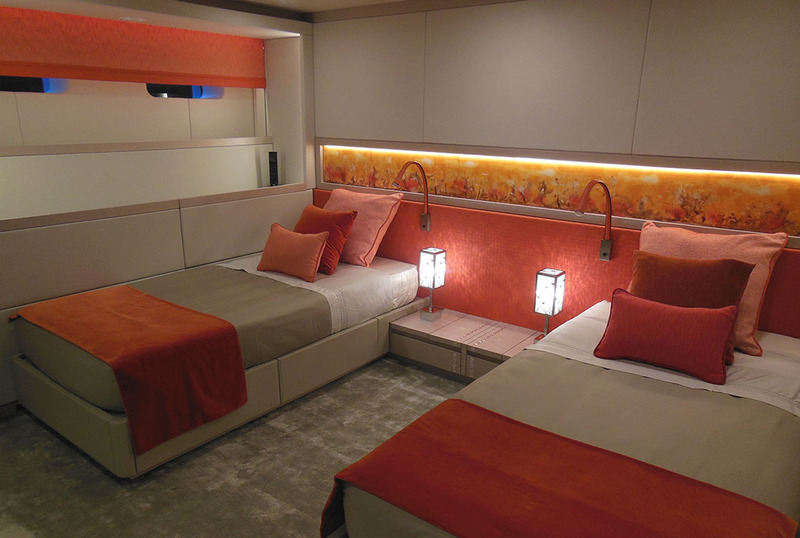 The full-beam master cabin is located on the main deck, while a further 4 generous cabins are on the lower deck, each with private en-suite facilities.